Linden Knoll, founded in 1975, is an independent senior living apartment community located adjacent to the Friendly Home in Brighton. This warm community of friends offers one-bedroom apartments and a range of available support services as needed by residents (dining, housekeeping, laundry, etc.) at a surprisingly modest rate. Linden Knoll combines the advantages of peaceful suburban living with a lifestyle of choice, convenience and peace of mind. 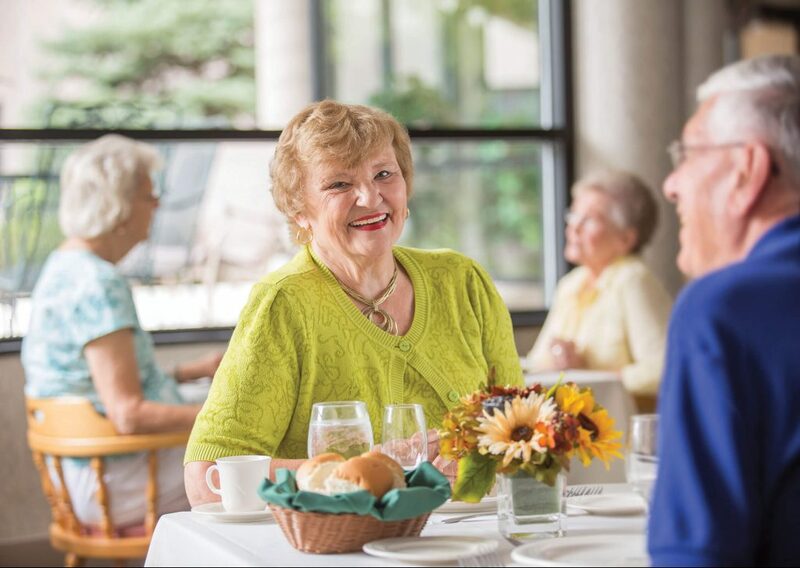 Friendly Senior Living is a not-for-profit organization supporting a continuum of innovative and dynamic services to meet the social, personal and healthcare needs of seniors in our community. We embrace a person-directed philosophy; honoring choice and independence. We are dedicated to living our values each day; allowing us to provide excellent care and services – always. On March 28, a group of concerned women, including members of the Rochester Female Charitable Society, gathered to discuss the need for care for homeless women. On April 11, the Rochester Association for the Relief of Homeless and Friendless Females was formed. On May 1, the Home opened at 33 Edinburgh Street. 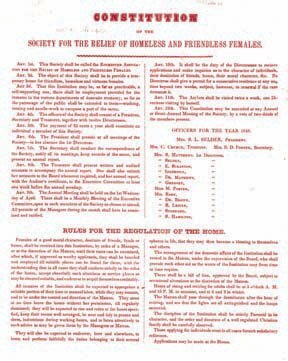 The original constitution of the Society for the Relief of Homeless and Friendless Females. The Rochester Home for the Friendless at its location on East Avenue and Alexander Street. Publishing of the Journal of the Home began. The masthead of the original Journal of the home. An amendment was made to the constitution to limit service to the care of aged women only. 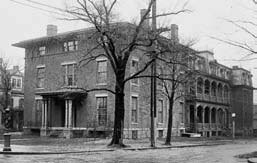 The Rochester Home for the Friendless was incorporated as the Rochester Friendly Home. In February, residents took occupancy of their new Home at its current location at 3156 East Avenue. Renovations began at The Friendly Home to add additional wings and an entrance portico. 81 Linden Avenue, now known as Linden Knoll, opened as a 148-apartment senior living complex adjoining the Home. Major renovations to the Home were made, including the relocation of administrative and departmental offices. 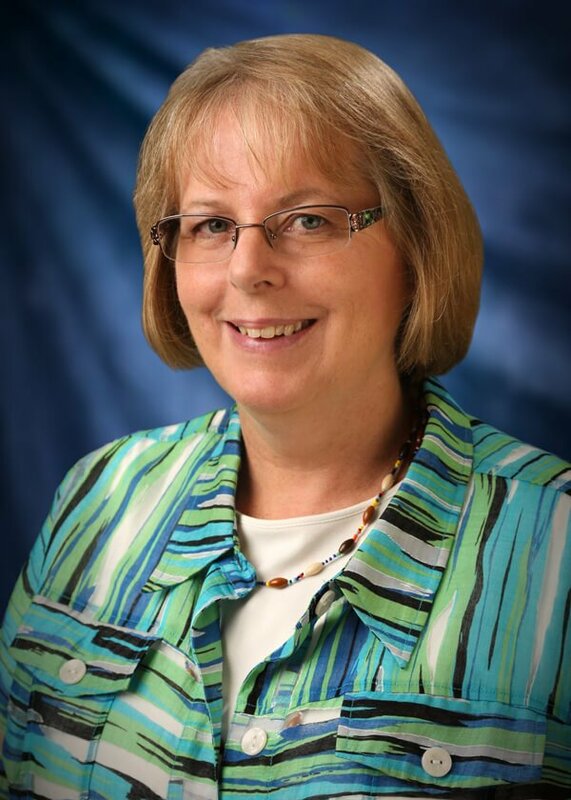 disease and related conditions was one of the first to open in the Rochester community. The Friendly Home celebrated 150 years of dedicated service to the community. The Transitional Care Center was opened to serve the short-term rehabilitative needs of individuals recovering from surgery, illness or injury. Expanding our continuum of care, Cloverwood, a full-service senior living community, was opened in Pittsford. well as a memory care neighborhood. The Friendly Home completed a two-year major addition and renovation project. Project highlights included spacious new companion suites, converting former double rooms to private rooms, relocating the Transitional Care Center, combining two Special Care Units into one Memory Care Center, and adding six bariatric care rooms for obese patients.